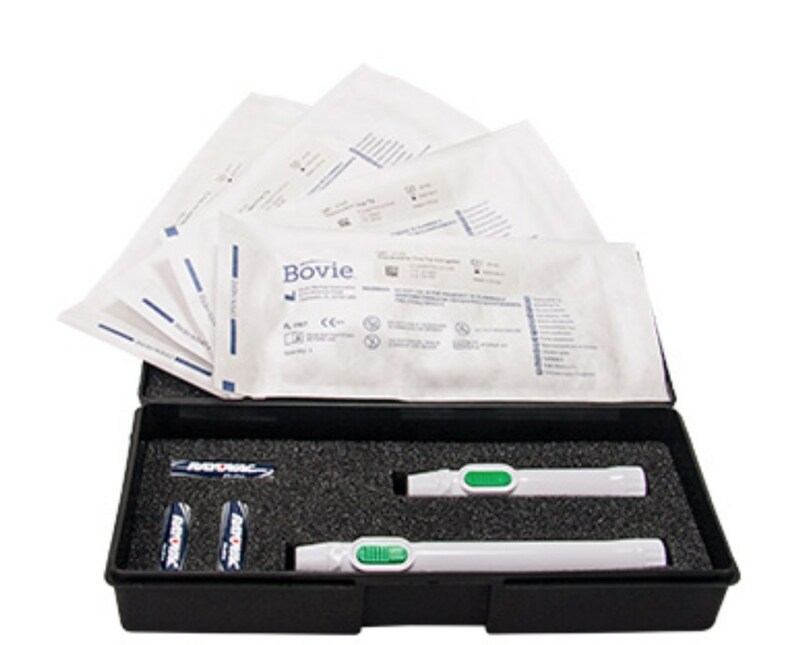 The DEL2 Change-A-Tip Deluxe HI-LO temperature cautery kit from Bovie includes one high temperature handle, one low temperature handle, one H100 sterile tip, one H101 sterile tip, one H103 sterile tip and one H104 sterile tip as well as six AA batteries. The whole kit is conveniently contained in a foam lined box. 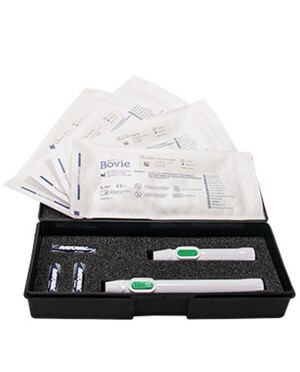 The DEL2 Replacement Cautery Kit (non-disposable parts) is covered by a 1 year warranty.